Merry voices and bright decorations fill the courtyard in grand festivity. The honored knight must be clothed in the finest armour. 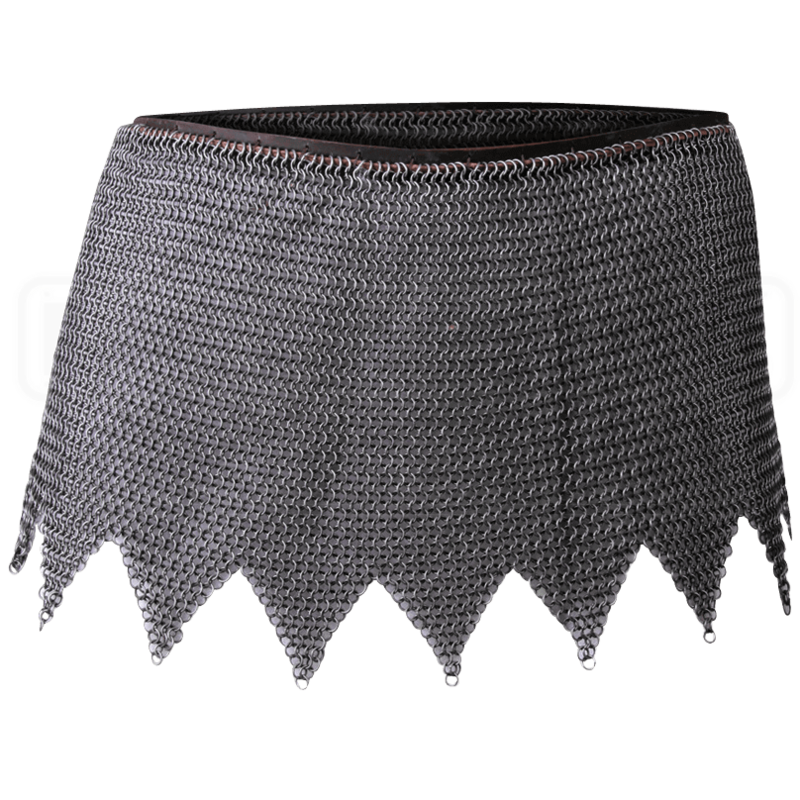 Proudly grace the courts in noble fashion while attired in the Richard Chainmail Skirt. Mild steel chainmail drapes down from a brown leather belt. When worn in addition to plated armour and padding, this double wrapped skirt provides extra protection from the hip down to the mid-thigh. Enjoy the traditional style and durability of the 4-in-1 chainmail pattern. 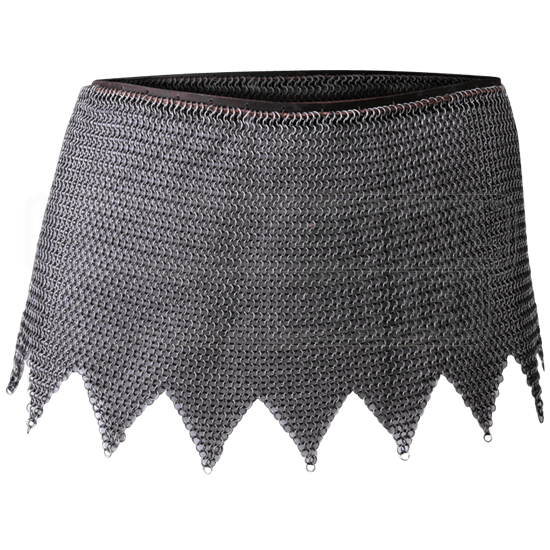 The prudent knight will add this fine chainmail skirt to their well-chosen LARP armour. Strengthen your defense even further by combining this chainmail with the rest of the Richard armor.